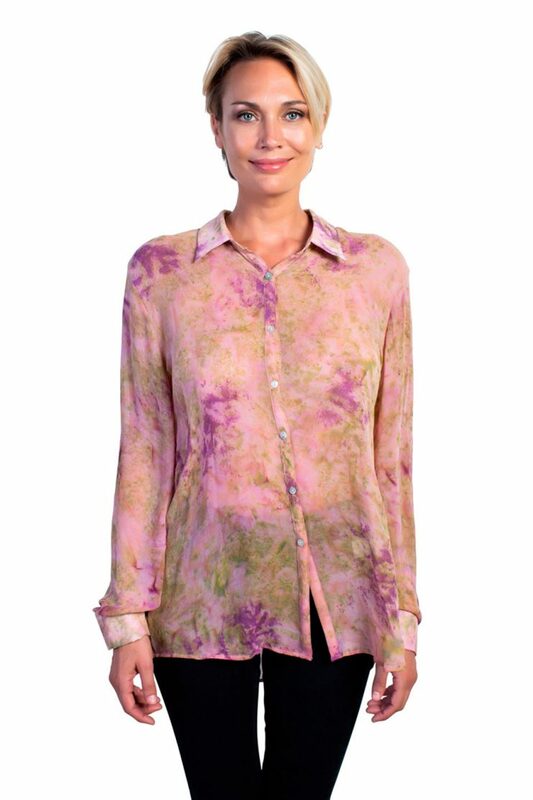 Long sleeves silk shirt with classic collar. Feminine straight cut style, fluid look. Buttonhole and cuffs fastened with shell buttons.